Door County Kennels, Inc. | The animal kingdom where pets rule! The animal kingdom where pets rule! Welcome to Door County Kennels! 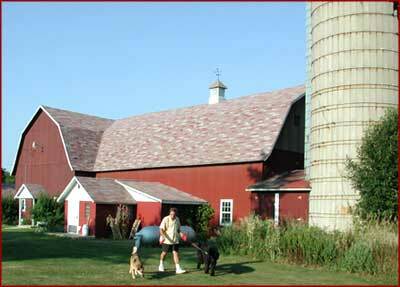 Door County Kennels, Inc. boards dogs, cats and other small animals. We also offer grooming services. The Kennel has been in operation for over 20 years. This job is all about the love of animals. Be assured your pet will receive the best possible care while staying with us. I call it, “The animal kingdom where pets rule!”DC Kennels is nestled in the beautiful countryside of Egg Harbor, minutes from Hwy. 42 – the only kennel in Door County north of Sturgeon Bay. Once a dairy farm, in 1978 the spacious barn was converted into a year ’round kennel.We take pride in the fact that all of our pet guests receive a great deal of daily personal attention. We exercise them 3 times each day with walks. You may provide your own particular food or use ours. Does your pet have his or hers favorite bedding and toys? No problem, bring them along. Consider us a spa for your pet! There’s nothing nicer than cuddling with a pet – unless of course that pet needs a bath. We offer grooming services and would be happy to have your pet groomed to perfection when they check-out. All of our kennel boarding facilities are located indoors and are temperature controlled. Visiting your dog while boarding with us is no problem. 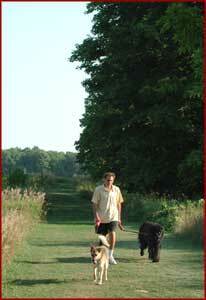 Take your pet off property for the day or spend some quality time on one of our scenic walking paths. If you are planning a visit to Door County in the future give us a call to reserve a space for your pet. They can still accompany you and have a vacation too.